I am so going to be a ballerina for Halloween next year! 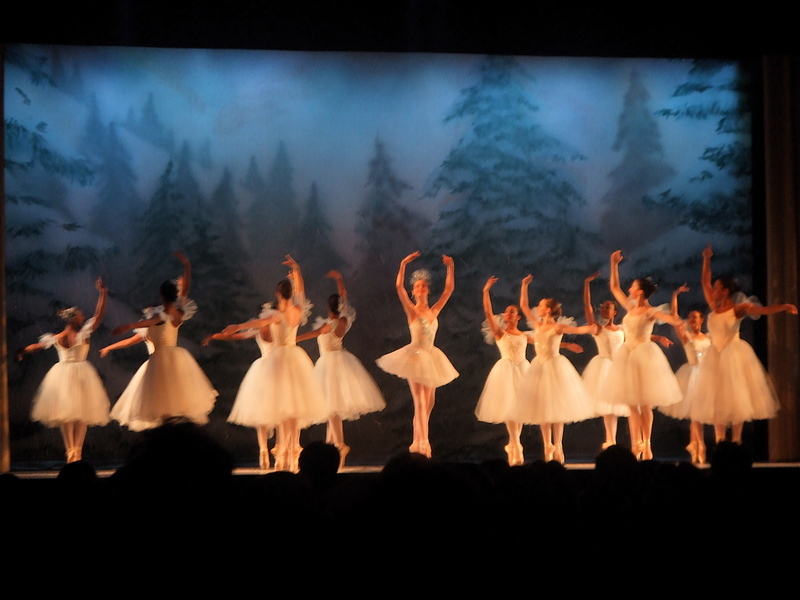 I went to see the Nutcracker (for the gamillionth time) at our local arts public high school yesterday. It was so good! Even better, there were all these children in the audience watching with rapt attention. When I got home I started working on my MTP dress since my new Hot Patterns were waiting for me on Friday. 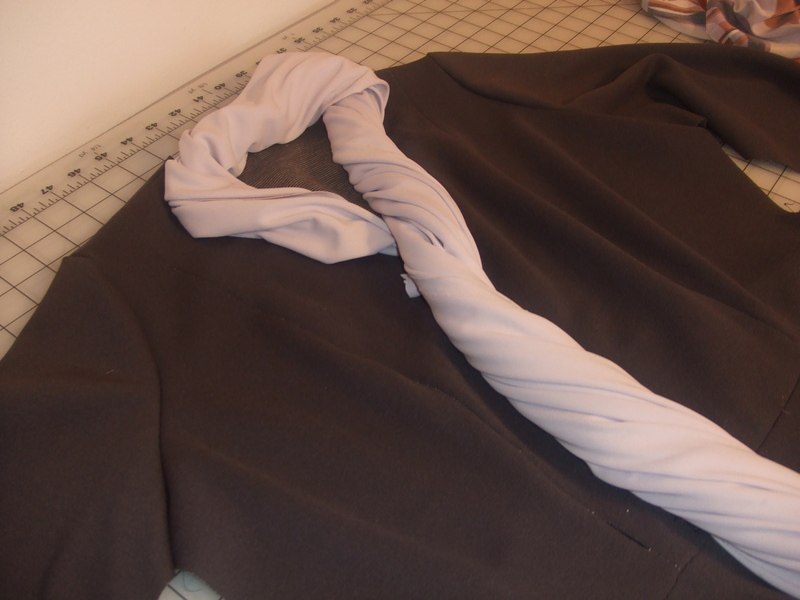 The main dress in a grayish purple is cut out, I still need to decide on the contrast and I’m torn. 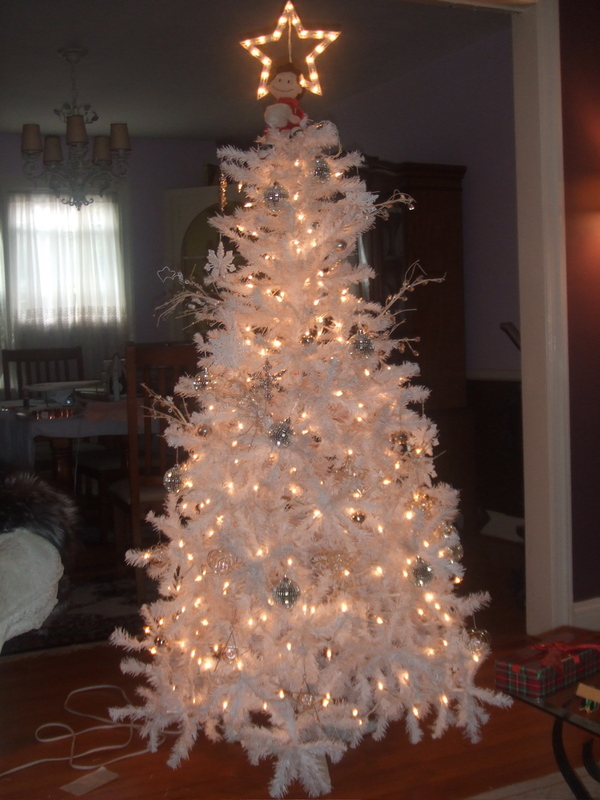 Which do you guys like better? The first is a pale lavender matte jersey and the other is a poly print. I wanted the print originally, now I like the solid, or maybe the print. The Cop liked the print. I do too. I think. I’ll figure something out by the end of the week. I saw the Kara Janx version online and got all giddy about the dress! 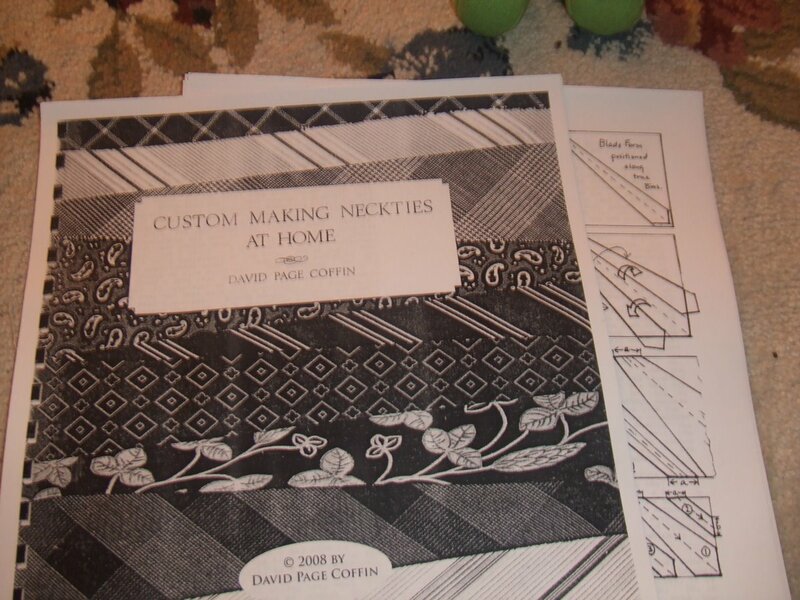 And, have you gotten a hold of David Page Coffin’s “Custom Making Neckties at Home” ? I downloaded my copy on Friday and have read it with literal rapt attention. 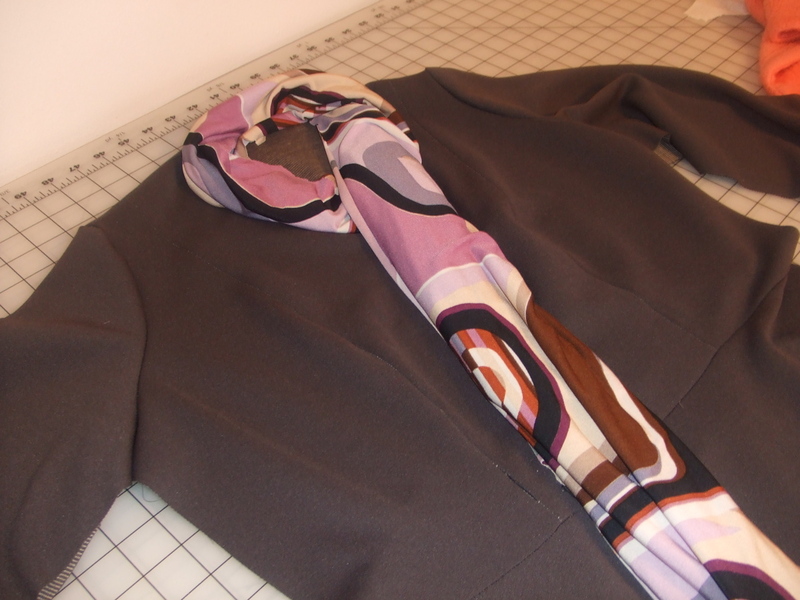 It shows how to not only make a tie, but make the pattern, discussion of the different fabrics and shapes ties take on. And just the clearest of clear instructions on constructing the tie. Best of all is that there is great historical information sprinkled in and David utilizes a warm and helpful writing voice. It’s also just cool to see actual typewriter font and drawings. Interested? It’s $8 through PayPal! And, if he releases an updated version in the spring, that $8 will be deductible from the new cost! So, if you’re interested, you can PayPal your payment to ‘d p coffin at earthlink dot net’ and he’ll send you the easy download. Hand crafted ties make a pretty awesome gift under the tree or next to the menorah (if I do say so myself).